Need a Moonwalk in Lakeland, give us a call. 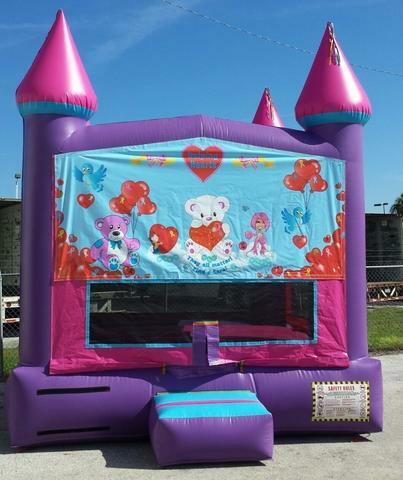 We deliver Bounce Houses, Moonwalks, and many other inflatable bouncers to all Polk County locations clean and on time. 13x13 Pink Palace with Helping Hearts Art Panel, The perfect addition to any fund raising or charity event to keep the kids occupied and promote a good cause.